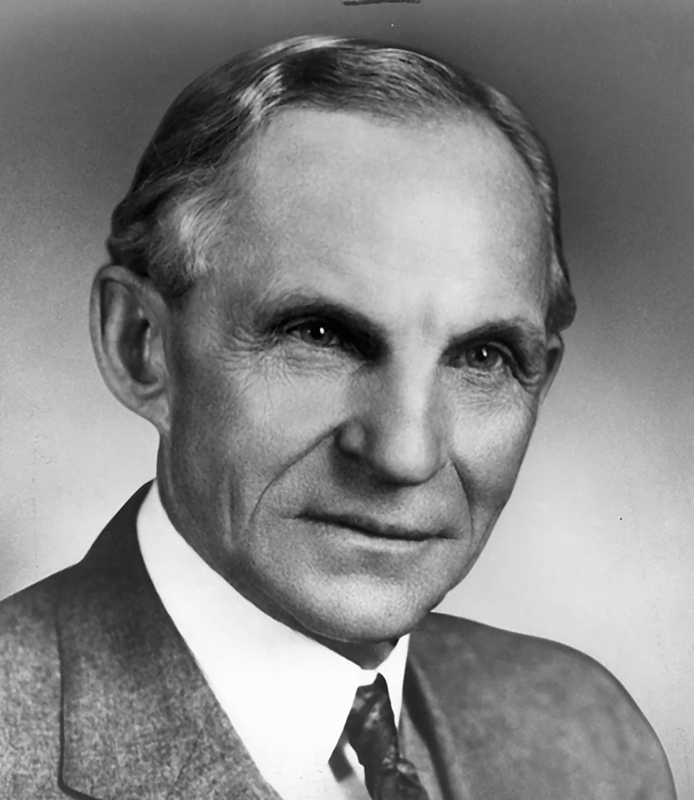 HENRY FORD, as well known as anyone in the history of the automobile industry, was briefly an auto racing competitor as a young man. 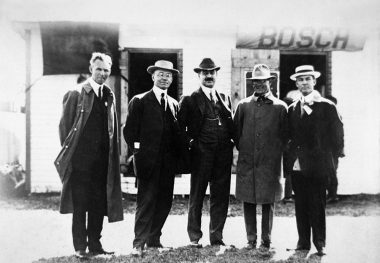 He was, in fact, the first American to claim a land speed record, although it was not accepted by European authorities because he had travelled in one direction only. International recognition was based on the average speed of runs in opposite directions completed within a prescribed amount of time. 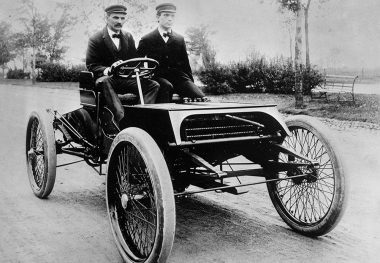 Ford’s flying mile in 39.4 seconds (average speed of 91.370 miles per hour) with his “999” on January 12, 1904, was made in less than ideal conditions over the most unlikely of surfaces, the frozen Lake St. Clair near Detroit. 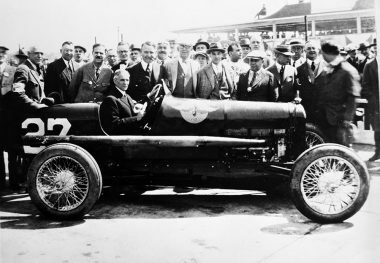 He soon turned his attention to the business of his newly founded Ford Motor Co., and his friend Barry Oldfield took over the job of racing the “999.” Although Ford attended many early Indianapolis 500 races, usually serving in honorary official capacities, he did not allow his firm to take part as a competitor. The less-than-successful Ford V8 Miller effort in 1935 occurred under the direction of his son, Edsel Ford. 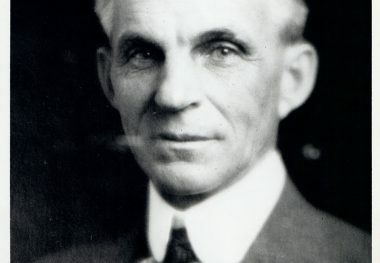 After Ford’s death in April 1947, the company had considerable success at Indianapolis, in competition sanctioned by the United States Auto Club and NASCAR (National Association for Stock Car Auto Racing), in sports car racing, and most notably in the 24-Hours of Le Mans.